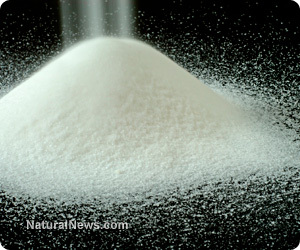 The prevalent use of refined white cane sugar as a sweetener in foods and drinks is a serious contributing factor for a wide range of diseases, including cancer. Many alternatives, including aspartame and high-fructose - often GMO - corn syrup, are often even more dangerous to health than sugar. An excellent and unique alternative is xylitol, a sugar-like sweetener which is actually highly beneficial for health. Here is why. For many generations, families have used the ubiquitous refined white cane sugar for sweetening drinks and foods, completely oblivious to the many health consequences. In 2009, 50% of Americans were consuming at least half a pound of refined sugar per day in food and drink products, an incredible 180 pounds of refined sugar per year. There are literally hundreds of further deleterious effects to health. While alternative natural sweeteners such as maple syrup, stevia, agave, molasses, fructose and others avoid some or many of these issues, they still often fail the body in two main areas - they feed bad microbes in the gut and therefore weaken the immune system, and they cause the body to become more acidic, the root of countless health conditions. Although xylitol looks, tastes and behaves exactly like a sugar, it is actually not a sugar at all but a "sugar alcohol." This does not mean that it is alcoholic but that it contains five carbon atoms as opposed to the six carbon atoms of a sugar. Xylitol is all natural, being extracted mostly from the bark of birch trees, the original source, but also from many other fibrous vegetables. A word of caution - xylitol is being increasingly made from corn husks. Corn husk xylitol should always be avoided on the basis that the corn from which it was processed may well be GMO. Xylitol looks, tastes and behaves like sugar without all the harmful health consequences while being extremely beneficial for general health. Adrian Cooper is the best-selling author of the highly acclaimed book Our Ultimate Reality, Life the Universe and Destiny of Mankind. For 7 years he was also the author of a 7+ page weekly newsletter on Spiritual, Metaphysics, Quantum Mechanics and Natural Healing and Health related subjects, read by over one million people around the world.